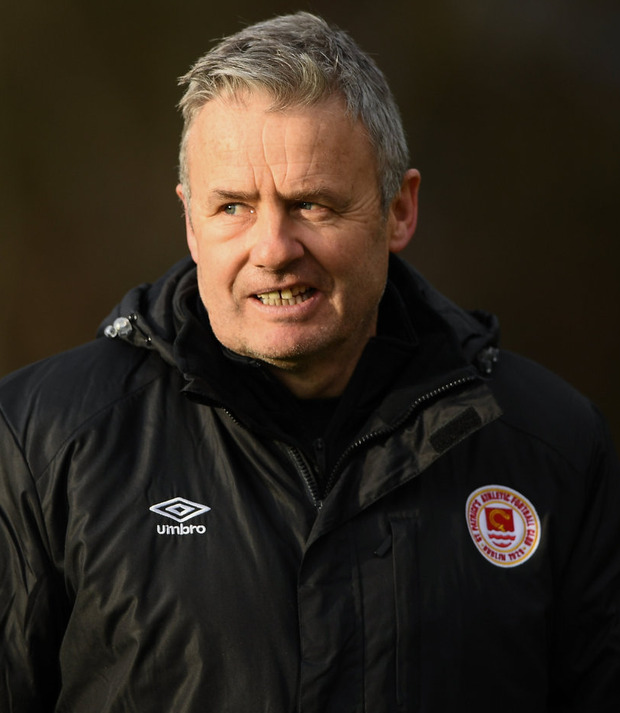 St Patrick's Athletic manager Harry Kenny has admitted that the all-consuming nature of full-time management has caused him some sleepless nights. The Saints have taken just two points from their last four games, a major downer after they opened the season with a pair of wins and increased optimism following the appointment of Kenny and significant strengthening of their squad. With international call-ups giving them a week off, they've had a fortnight to dwell on a frustrating reverse in Waterford. Kenny's men return to action tonight at Dalymount Park where there are hopes that their Dublin derby with Bohemians will sell out. The visitors are in need of a boost and Kenny is acutely aware of that. Kenny (56) had never managed full-time before and he confesses that it's a different animal to being in charge of a part-time team - getting over losses is the major adjustment. "It drives you nuts, it drives you insane," Kenny told the LOI Weekly podcast. "You think about absolutely anything and everything. You question yourself. You question the players. You question everything. You don't really sleep at night. "When I was part-time with Bray, you're three nights a week and Saturday morning and you're off to work then. It distracts you for the day. But I've had a few sleepless nights in the last couple of weeks. "It consumes you. You're thinking about it all the time. It's a drug really. You want to be in the thick of it, plotting things and doing tactics and whatever else you do." Shamrock Rovers can consolidate their seven-point lead at the top if they beat UCD tonight, and their emergence as contenders has added a different element to the Oriel Park meeting of Dundalk and Cork City - the two teams that have battled it out for the crown for the last five seasons. Dundalk are second - seven points behind Rovers with two matches in hand - with Cork a further two points back in fourth. Their manager John Caulfield believes they are finally getting into the groove after a slow start. "Over the past four weeks our form has improved," Caulfield said. "In our first couple of games, we lacked that bit of cuteness. But this is the biggest test of the season for us so far. "With the way the table has gone early doors, they know they have to win to stay with Rovers. "We're here this year to be competitive but you don't need to be a genius to know that with the amount of unbelievable players we've lost, it's going to take a bit of time. "We wouldn't have the experience that the other teams have."